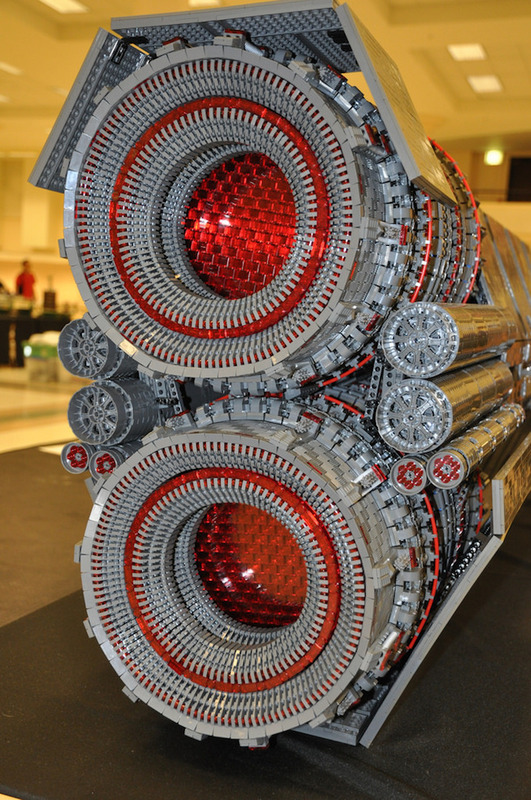 I discovered someone constructed a massive recreation of the Pillar of Autumn out of legos. Check it out HERE. Lego Zelda has another shot at life! Zelda is awesome. there is no point in denying. I’ve ran into people who didn’t like a certain zelda game, but none who love video games of any type, and don’t also love Zelda. For many of us it was our first introduction into Fantasy in gaming, and it’s stuck with us. lego has a site called Lego Cuusoo and the idea of this site is that fans can submit ideas for new sets, they can be voted on, and then if they get enough votes they will be reviewed by staff and if possible made. Cuusoo user Ragaru has recently achieved enough votes to head to the review process again, using less parts. Check out his work here. He doesn’t need your votes anymore, but you can drool. I also can’t imagine more hits on the page would be a bad thing! The lines between toys and video games are blurring with items like Skylanders being hugely successful. 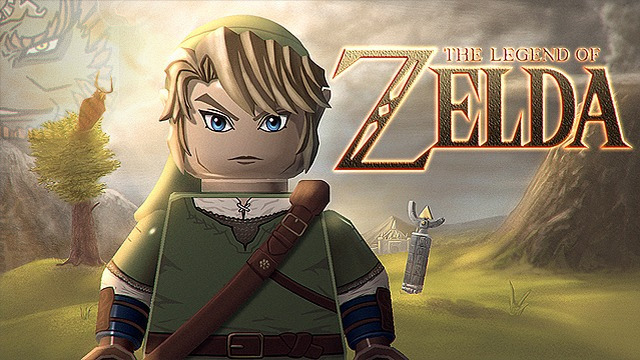 I think this would be a great way to get kids who love legos into Zelda and her faithful hero Link, as well as get video gaming kids into a creative toy like lego. To discuss your dreams of Zelda Lego, Jump to our forums here. 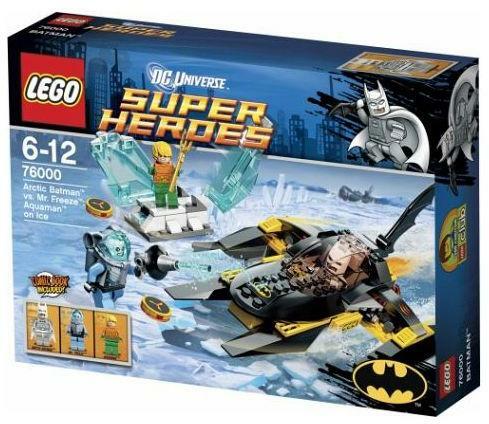 Lego Super Heroes Arctic Batman vs Mr Freeze: Aquaman on Ice! An Inside Look! This was the first set I picked up from Walmart out of the 4 latest releases. The fact that both Aquaman and Mr Freeze were included made it a “No Brainer” for myself! 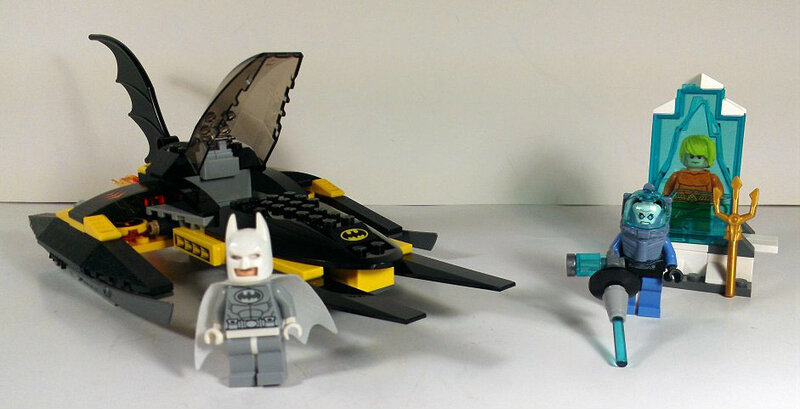 Besides the 3 awesome figures, this Batman fan was super psyched about the addition of another tool in Batman’s arsenal: THE BATBOAT!! This thing is “Loaded For Bear”! Two discs you can fire, places to hold two Batarangs, Batbombs strategically placed in the rear to deter pursuers, a 3D screen for Batman to view and just an overall amazing piece of Batman Lego craftmanship! The detail inside the cockpit, as well as the outside is one of the best they have released to date! The old saying, “big things come in small packages” is so true when it pertains to the ice prison Mr Freeze captures Aquaman in. 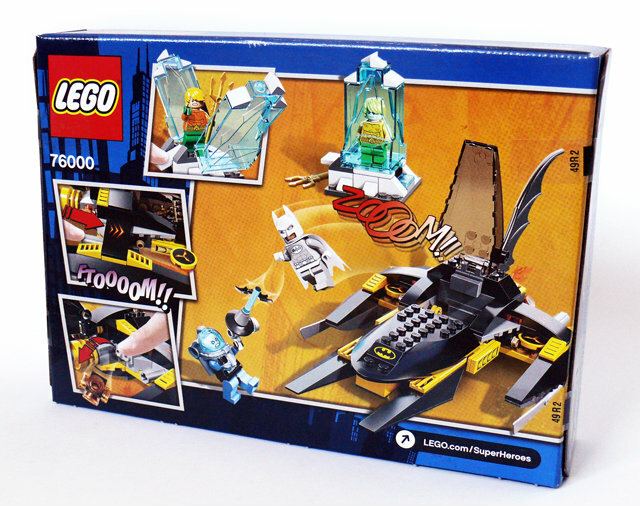 Designed with a lever on the side, Aquaman can break free when Batman comes to the rescue! Of course I saved the best for last! What I do like the most is the figures! Lego figures usually sell by themselves for $10+. That being said, at a retail price of $19.99, I see it as great deal! The figures alone on Ebay would run you $30+! 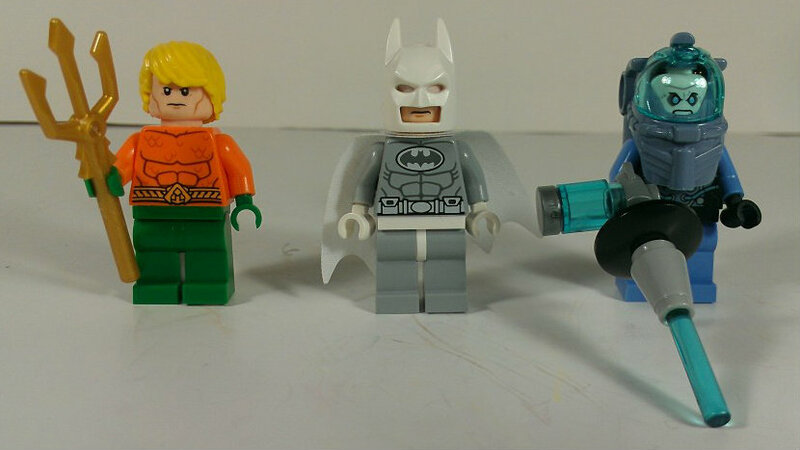 Aquaman was my “Golden Egg” since I am on a personal quest to assemble The Lego Justice League! Mr Freeze’s new design is great and gives me a Arkham City feel. Even though simplistic, the designers over at Lego Corp did one Hell of a job with Freeze’s gun as well! Artic Batman is a new variant that you can alongside of the ever growing Batman suits. In closing, The Batcave is looking even better with this new set and I highly recommend you picking this up if you haven’t already! Now I must go and count my pennies in preparation for the soon to be released Arkham Asylum set ($169.99 OUCH!)!! Let us know what you think of the product, or the review in our forums here. 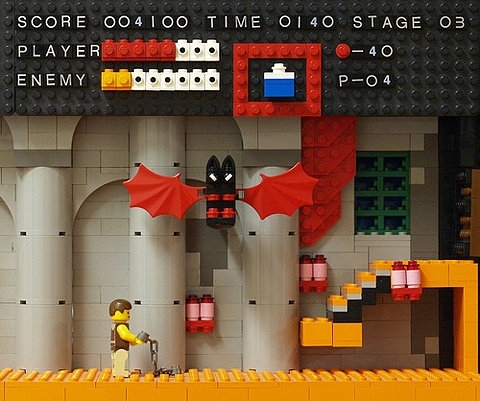 Sadly there is no lego tie in with Castlevania on the horizon but over at the Retro Gaming Blog there is an excellent image of a physical lego set up. The stage style would be great for recreating plenty of classic video game looks. as always, you can share your thoughts by hitting the forums.